Sustainable growth rate repeal: Now what? As noted earlier this week, Congress has enacted the Medicare Access and CHIP (Children’s Health Insurance Program) Reauthorization Act of 2015 (MACRA). This legislation repeals the sustainable growth rate and negates a 21.2 percent cut in Medicare physician payments that technically went into effect for dates of service on or after April 1. President Obama is expected to sign the bill. 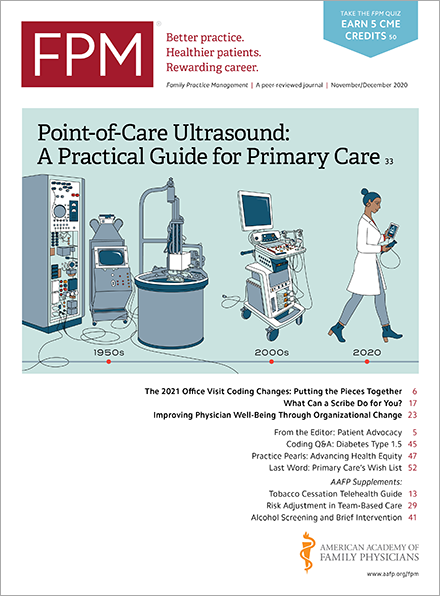 MACRA will have a significant impact on Medicare physician payment for years to come, but what does it mean for your practice in the short run? MACRA maintains the pre-April 1 rate for dates of service through June 30. For dates of service from July 1 through Dec. 31, Medicare payments will increase by 0.5 percent. For 2016, the Medicare payments increase another 0.5 percent. To minimize financial headaches for physicians, the Centers for Medicare & Medicaid Services (CMS) had agreed to wait 10 business days before processing all affected claims with dates of service on or after April 1. CMS has now instructed the Medicare Administrative Contractors(www.cms.gov) (MACs) to implement the rates contained in MACRA; however, the MACs probably will still process a small number of claims using the reduced rate before they can adjust their claims payment systems. These will likely be claims for dates of service early in April. The MACs will automatically reprocess claims paid at the reduced rate with the new payment rate, and you don't have to do anything if you have already submitted claims that fall on the affected dates. Home / Journals / FPM Home / Getting Paid Blog / Sustainable growth rate repeal: Now what?